RV8 set of Upper Intersection fairings – set of two. Professionally build by a professional. No more sanding and filling. No more pin holes. Lightweight. Selling at about half the price compared to others available. Quality is great,fits properly and looks great on aircraft. 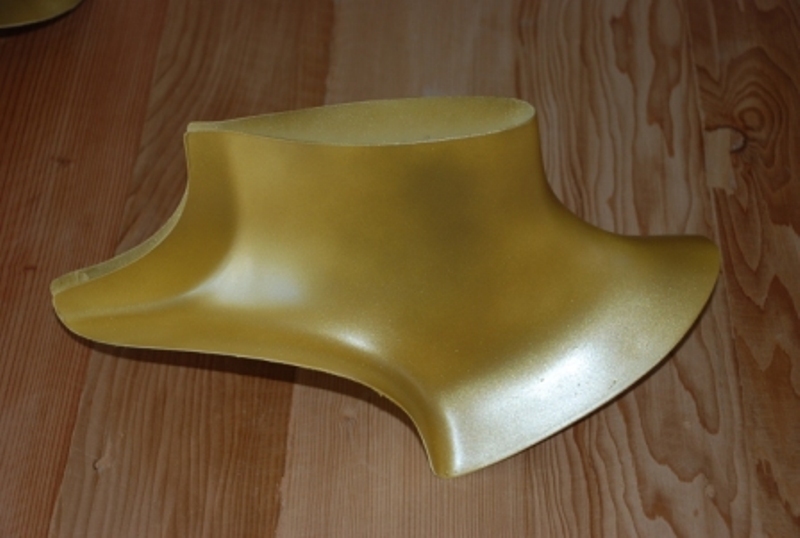 The quality of these fairings is WAY above and beyond any of the fiberglass parts that Vans ships with the kits. I have the Grove gear and they will require minor modification to fit on the bottom sides. I knew that going in so it's not a knock on these fairings, just a statement. It will still be much easier to modify than to start from scratch. PRODUCT WAS AS ADVERTISED. EXCELLENT WORKMANSHIP AND THEY ARE AS STATED IN AD. NO FILLING PINHOLES AND THEY FIT PERFECTLY. I received the upper intersection fairings that you made for my RV8 and I could not be happier. The quality of the fairings is much better than the fiberglass pieces that come with the finish kit provided by Vans. They "hand fit" the airplane perfectly. I can't wait to get them completely installed and check the airplane's performance. Great job!!!!! You are the best!!!!! Click the button below to add the RV8 Main Gear Intersection Fairings, Uppers Only to your wish list.